How to Spot and Avoid Job Offer Scams? The most common internet scams are job offers out of the blue which promises to pay you in advance in the form of a check. 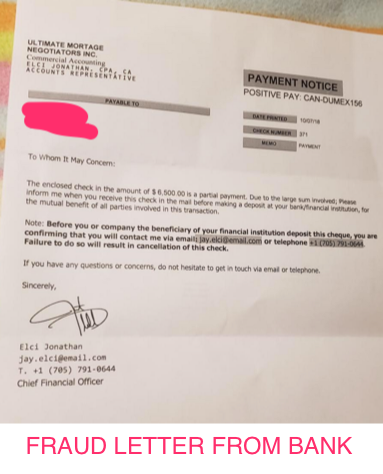 You will then receive the check for large sums for you to deposit, the recruiter will then ask for you to send a portion back as a refund or pay somebody else they also have to pay. 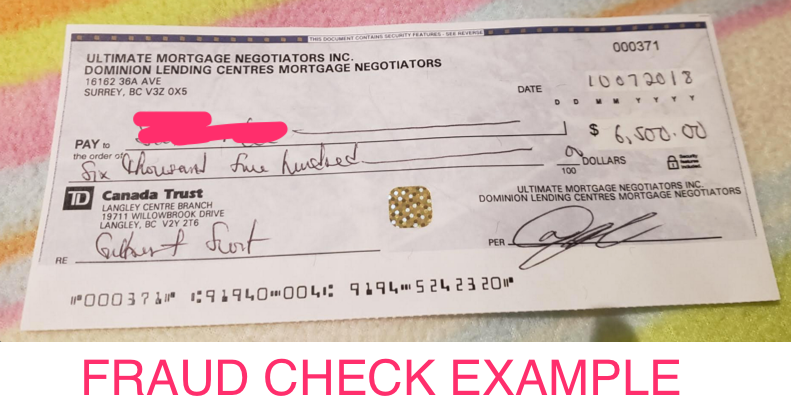 Here is an example of a fake check that was received by one of our members. She was kind enough to share it with us. Do not send money to any soul. Beware of any offers that is too good to be true. It's okay to be suspicious. Never wire funds or Western Union. This is a commong scam tactic. Don't accept checks and/or money orders becuase it will most likely bounce and banks will hold you responsible. Never give out your financial information like passport number, bank account, social security, paypal account, driver's license etc. Refuse background/credit checks until you have the employer face to face.